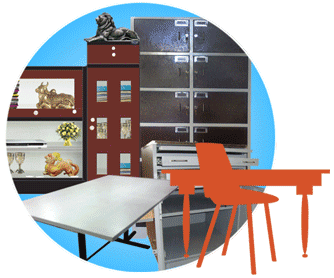 Wardrobe, Cupboards, Filing / Storage Racks, Showcase, Book Shelves, Tables etc. Steels for bending qualify as JISG3141:2005 grade SPCC. It can be taken as equivalent to IS513:2008 grade `CR1`. TDCs for this segment are TR15, HSF1, XT07 and XT08. A variant of TR15 with improved hardness is HSF1. The following table gives typical mechanical properties of these TDCs.